With two top business magazines combined into one digital issue, NZBusiness + Management offers a feast of information, inspiration and education for business leaders and owner managers from SME through to corporate. In Management our focus is to inspire New Zealand’s business leaders and the managers of today and tomorrow to succeed in business. NZBusiness was developed specifically for business owners, the editorial content is designed to inform, inspire and educate readers. Feature articles provide more in-depth information whilst profiles and case studies provide inspirational and aspirational content. 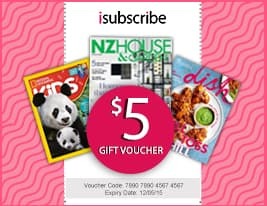 Be the first person to tell us what you think about NZBusiness+Management and you'll save $5 on your next purchase!